A San Jose teacher was arrested Wednesday in connection with a road rage incident that turned violent in February, and he had a loaded handgun in his possession at school, according to the San Jose Police Department. Charles So, 35, of San Jose was taken into custody at Chaboya Middle School, 3276 Cortona Drive, on suspicion of strong-arm robbery and battery in connection to an incident on Feb. 21 when officers responded to a call for help from a man who had been beaten and robbed of his cellphone at 88 S. Fourth St., police said. Investigators later identified So as the suspect. So had a loaded handgun in his satchel when he was arrested at the school Wednesday, police said. The first-year eighth-grade teacher was pulled out of class while school was in session and taken into custody. "It's going to be very difficult for him to articulate why he had a loaded firearm in the classroom," San Jose police Sgt. Enrique Garcia said. A San Jose teacher was arrested Wednesday in connection with a road rage incident that turned violent in February, and he was in possession of a loaded handgun at school, according to the San Jose Police Department. Ian Cull reports. 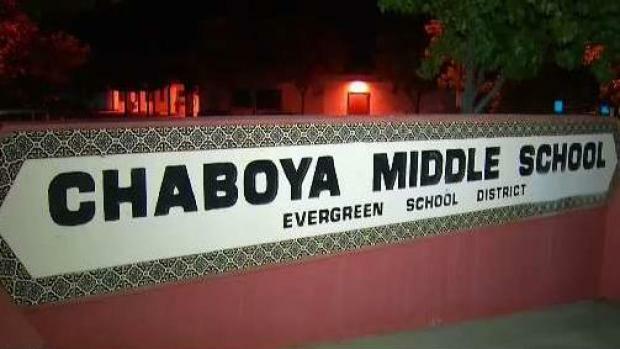 The Evergreen School District said So passed a background check this month. "We are beyond appalled that a teacher would engage in this kind of behavior," district spokesman Charles Crosby said. "To bring a weapon into the classroom is beyond unacceptable." One parent was downright frightened by the news of a teacher being arrested with a firearm on campus. "I was shocked, I was horrified, I was upset, I was angry," the parent said. "School's been in session for a week. I don't know how long he's been bringing it to school. He has been in the class where my son is physically sitting in the class." So was booked into the Santa Clara County Jail for robbery and possession of a firearm at a school, both felonies, police said. He was released Thursday after posting $65,000 bail, and is scheduled to appear in court Oct. 29. Anyone with information about the incident should contact Detective Sgt. Ray Vaughn of the San Jose Police Department's Robbery Unit at 408-277-4166. Persons wishing to remain anonymous may either call the Crime Stoppers Tip Line, (408) 947-STOP (7867). A San Jose teacher was arrested Wednesday in connection with a road rage incident that turned violent in February, and he had a loaded handgun in his possession at school, according to the San Jose Police Department. Kris Sanchez reports.